I’m always adding new printables for each season. I love fall and have added a lot over the years. You are going to find all the printables for the fall season here. There will be themes like Fall, Apples, Pumpkin, Leaves Halloween, Thanksgiving, Christopher Columbus and more. 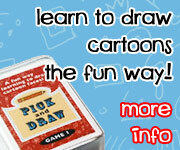 You are going to find themed packs, math & numbers, learning to read, ABCs, writing and more. There are tons of printables on the site. There are so many to pick and choose from! I’m always added new stuff and they will be updated here as I do them. Click on the links below to jump to a category you want to see. This is all the Themed packs that work in fall or close to fall. This covers the fall seasons, holidays and sports. The School Pack is a great fall theme for kids. There are loads of activities for learning about school items. Fall Pack is a huge seasonal pack with over 170 pages and also goes with the book There Was An Old Lady Who Swallowed Some Leaves! by Lucille Colandro . Fall Dot Markers are a fun way to explore parts of fall! There is also a second set of Fall Dot markers. A fun Fall Barrier Game to play. This is a two player game that is loads of fun! The Apple Pack is full of fun activities and lots of learning. This has 60 pages activities that are great for ages 2 to 8. There is also two updates one with an Apple Themed Language and Apple themed Math. There is also a Johnny Appleseed Pack. It has over 75 pages of activities and is great for ages 2 to 10. It does have some older language and math activities. Plus there is print and cursive options for writing. The Leaf Activities Pack is a full of leaf learning activities. This has 70 pages activities that are great for ages 2 to 8. The Pumpkin Pack was a favorite of everyone last year. This pack has over 80 pages of activities for ages 2 to 8. There was also an update for Pumpkin Math and Pumpkin Language update. Peter, Peter pumpkin Eater is also a great pack for the fall. The Halloween Pack has over 110 pages of activities for kids ages 2 to 7. It was made to go with the following books: The Little Old Lady Who Was Not Afraid of Anything by Linda Williams and There Was an Old Lady Who Swallowed a Bat! by Lucille Colandro . There is also two dot mark printables that go with the Halloween Pack Halloween Pack Extra: Dot Markers and Halloween Pack Extra 2: Dot Marker. There is also a Mini Halloween Pack is great for ages 3 to 7. It was made to go with the Safari Ltd Toob Glow in Dark Halloween Figures . The Bat & Spider Pack is grat for ages 2 to 8 and has over 70 pages of activities. I also made a pull out pack just for Little Old Lady Who Was Not Afraid of Anything. The Thankgiving Pack has 120 pages of activities for thanksgiving. Plus there is a Thanksgiving Pack Update that has 40 pages math and language activities. There is also some Thanksgiving Pack Extra: Dot Markers. The Christopher Columbus Mini Pack and Christopher Columbus Pack Update! are great for kids 2 to 10. There are 55 pages of activities for kids to do. The Football Pack and Football Pack Extra are great for those football fans. There are over 80 pages of activities for kids ages 2 to 9. Football Pack Extra: Dot Markers are fun for those that like dot marker activities. The Apple Skip Counting Trees are use to use to review your skip counting or learn it. The Roll an Apple Tree is great for counting, addition and multiplication. The Apple Themed Daily Numbers & Math is loads of fun to work on numbers 1 to 31. Apple Themed Counting Mats: Number 1 to 10 are fun hand on counting mats. Apple Themed Addition & Subtraction Mats are fun hands on maths for math activities. Apple Themed Multiplication & Division has a collection of hands-on and no prep activities to work on your math facts. Apple Daily Numbers & Math work great with the calendar pages for kids to use. Apple Themed Place Value Set is a hands on learning set for place value from ones to hundred billion. Apple Long Division Sorting Activity is a hands-on sorting activity while working on long division. This is a great one for fourth to sixth grade. Apple Themed Double Digit Addition Puzzles is two puzzles working on double digit addition for second and third graders. Apple Roll & Graph Math For Addition & Multiplication is a fun way to work on math facts for kids! 2 versions for addition and multiplication. The Roll A Cornucopia Printable is great for kids working on their counting. Apple Themed ABC Find is great for working on uppercase and lowercase letters. Apple ABC Letter Find: Uppercase & Lowercase works of learning the uppercase and lowercase together with tracing. Apple themed finds for ABCs, Numbers, and Sight words are fun and eays to use. Making Apple Pie Sequencing Clip Cards & Fall Sequencing Set is a great set of cards, worksheets and easy reader books for fall. The Romping & Roaring A Pack has a great apple theme for it. There are 47 pages of Letter A activities. Apple Themed CVC Word Family Activities have wall cards, writing, sorting and more. Apple Themed Sight Word Cards for kids to learn with. Apple Themed Easy Reader Books are fun for kids to read with 4 different options. Sequencing: Carve a Pumpkin and Sequencing: Pumpkin Life Cycle are fun reading and writing activities that kids can learn how to put them in order. These are the Fall Theme reading charts. Look for more of them that will be coming out in the next month! Weekly Fall Reading Charts are fun and easy to use. Fall Themed Bookmarks for kids are great to help them keep place in their reading. It you are looking for writing prompts, There is the Apple Writing Prompts for some writing fun. There are 9 pages total to choose from. Fun Apple Tic-Tac-Toe Writing Prompts are great for older kids to work on different writing ideas for apples. I also have some Thanksgiving Themed Writing Prompts. There are 7 different writing prompts. There is also some thanksgiving Place mats for kids to color and use at Thanksgiving. Use the Pumpkin Themed Writing Paper to add something new to your writing centers or journals. You are also going to find three different Fall Bucket Lists that kids can fill out. Free Fall Thank You Notes For Teachers is four different notes you can use with to give to teachers or just to write thank you notes to anyone with a fall theme. Thanksgiving Prewriting Printables has 28 pages of prewriting with a Thanksgiving Theme. The Pumpkin Prewriting Printables. These are fun prewriting pages for those kids still working on prewriting. There are 28 pages of printables. This will be updated as more printables come out! Enjoy! Check out additional ideas on my Fall Pinterest Board! This entry was posted in fall, round up and tagged fall, printables, round up. Bookmark the permalink. What a great collection of printables, Cassie! Thanks so much for linking up to After School. I found your post through Mom’s Library Link-up @ Crystal’s Tiny Treasures. We LOVE your printables, thank you for sharing all of your hard work. I just printed the Thanksgiving dot set for my 4 year old, he always loves these. You’re amazing. Thank you for all you do and share with us. You are welcome! It is fun to make them. Thank you so much for sharing all these wonderful printables! I have used many of the tot packs with my 2 year old! We especially love the rolling games! I recently wrote about them on my blog at http://aztoid.blogspot.com/2013/12/tot-school-thanksgiving-and-turkeys.html Thanks again for all your amazing work! I love your printables and thank you so much for creating and sharing them. They have been handy keeping my 2 year old entertained and learning at the same time. I just wanted to let you know that I’ve tried printing your fall dot marker printables from 2 different computers and they won’t print. It could be an issue on my end but just in case it’s not. I wanted to let you know. Did you read over the pdf help? Have you tired a different browser? Are you trying to print from the web page or downloading it to your computer and printing? I just stumbled upon your site. Holy cow! It’s amazing. And all of your free printables have left my head spinning! I’m going to print lots of them off to use with my grandkids! My Grandma Ideas Sharing Time link party is at http://grandmaideas.com and runs Wednesday through Friday night at midnight. I hope that you’ll drop by and share links to 2-3 of your wonderful ideas.